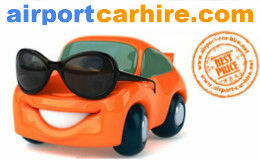 Car Hire Comparison Manchester Airport Car Hire Village is situated a few minutes away from the terminal building. A free bus service departs from each terminal every 10 minutes. 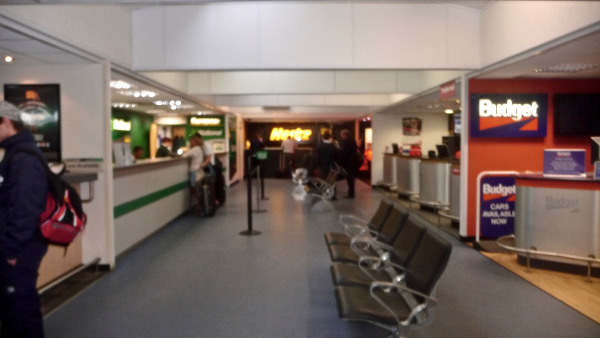 Manchester Airport is serviced by all of the main car hire companies; Alamo, Avis, Budget, Enterprise, Europcar, Hertz, National and Sixt which are located in the car hire village. It is opened 7 days a week and the opening hours will vary according to each rental company. When you book your rental car with Airport Car Hire Network, we will only display the car hire companies that are open for the time you request. Manchester Airport is located at Ringway in Manchester within the Greater Manchester in England. It is the busiest airport excluding the London airports in terms of passenger traffic. Manchester Airport is an international Airport offering flights to all regions of the World. Manchester Airport is the third busiest airport in the UK and the 22nd busiest in Europe. With three terminals, you will find it has all the usual facilities for travellers whether passing through on business or pleasure. Though it is possible to book on the day, booking in advance affords you more control over leaving you relaxed for your flight. Using a price comparison site, you can quickly and easily shop around making sure you get the best deal, leaving more money and time for the more important things. You can also be sure that there are no nasty hidden costs when you arrive; the price you see is the price you pay. What’s more booking via a price comparison site will cost you less than booking direct with the company. When hiring a car, there are a few things to consider. Firstly, you must present your drivers licence. For UK and Ireland renters, you will need the photo card and paper counterpart. If you are not travelling from the EU, it is best to provide an International Drivers Permit and usually your passport as ID. Remember to check the car carefully before you leave and document any marks or issues. Returning your car is as easy as renting. You can return to any branch in the UK, which is perfect if you are returning home after a holiday or planning to stay in the UK. Alternatively, simply return to the Car Hire Village, with the courtesy bus transporting you back to the airport. Out of hours return is facilitated by many car hire companies, though it is advisable to check with individual operators for exact opening hours. 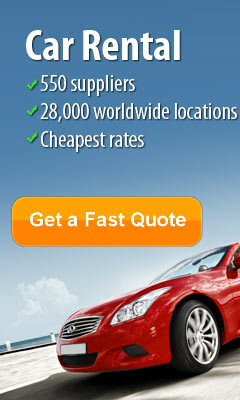 We compare the market for you to get you quality cars at fantastic prices in Manchester England. Prices are all inclusive with a no excess option and are supplied by the leading rent a car companies in the Aaaa, Hertz, Avis, Sixt, Europcar, Budget, Thrifty, and many more. Pick up locations at Manchester airport and Manchester city centre. 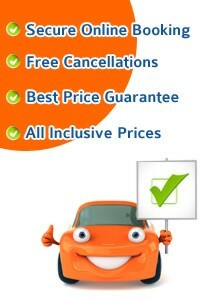 Take this opportunity to get the best car rental deals in Manchester... CHEAPER. Driving Directions to Manchester Airport Manchester Airport is just 25 minutes from the centre of Manchester. It is located just off the M56 coming from the A5103 route. Car Parking: Manchester Airport offers cheap Short and Long Stay, Valet and Meet & Greet parking for all 3 terminals as well as a low cost cheap Shuttle Parking option. 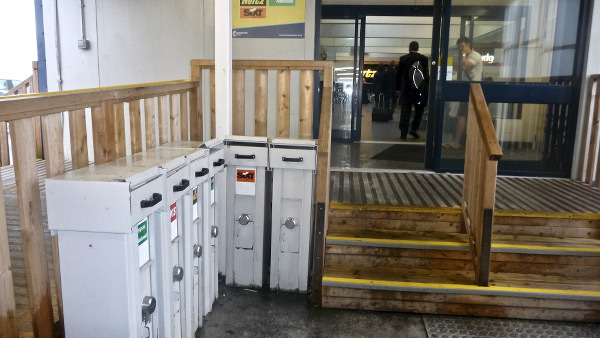 Train service: Manchester Airport is serviced by TransPennine Express. Shops available at Manchester Airport include Accessorize, Add, Attitude, Bobby Brown, Boots, Next, Swatch, Timberland, and WH Smiths. Cafes and Restaurants at Manchester Airport are available including, Burger King, Caffe Nero, Giraffe, The Real Food Company, Spar and Starbucks. Manchester is a sophisticated, vibrant city in the north of England, reknown for its music, sport and shopping as well as its impressive museums and cultural heritage. But there’s much more to the area than just the city’s bright lights and big exhibitions; the surrounding countryside is gorgeous and just waiting to be explored. 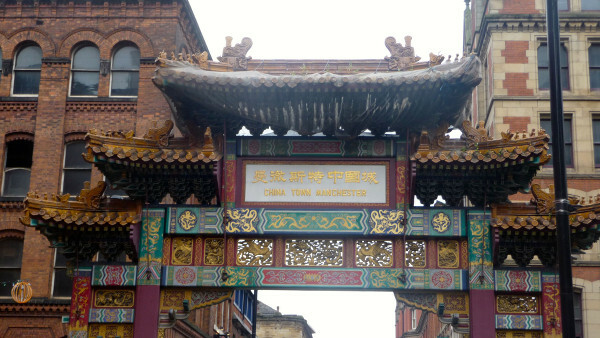 Choose Manchester for a lively break, full of adventure and surprise. When it comes to museums and art, Manchester rivals any other European city. Exploring the cost of human war, the award-winning IWM North situated on the quays houses some of the biggest and most dramatic museum collections in the country. Stop at Manchester Art Gallery for some impressive collections housed in a stunning Victorian building – but be warned, it could take you all day to get around. Just outside of the city, neighbouring the Manchester University grounds, you’ll also find the Whitworth Gallery, a haven for home art and design lovers. Iconic spaces worth a look include the art deco Daily Express Building, the Royal Exchange, the Victoria Baths and the Central Library. A real gem of a find is the John Rylands Library; more like a cathedral than a library, this excellent example of Victorian Gothic architecture holds valuable treasures such as medieval manuscripts and the oldest known piece of the New Testament. Sports lovers will adore the Manchester City experience at Etihad Stadium, or the Manchester United Museum and Tour – depending upon personal taste. For adventure sports, head to the Chill Factore for the chance to ski or snowboard indoors on real snow all year round. You can also try your hand at sledging and the latest craze – snowscoot, a cross between BMX biking and snowboarding. Recommended scenic drives: Once you’ve collected your hire car from Manchester airport, head out to see what Greater Manchester and its surrounding area has to offer. Head to Tatton Park to see the 19th century mansion, housed in over 50 acres of award winning gardens boasting over 200 years of history and design. Next, visit the Stockport Air Raid Shelters museum, carved into natural sandstone cliffs under the city, to experience life during 1940s wartime Britain. Also visit Castlefield, site of the 79AD Roman fort of Mamucium and the world’s first ever canal system, Bridgewater Canal. For picturesque scenery, try the iconic Wigan Pier and drive through the Douglas Valley, visiting Dean Wood and Appley Bridge. For peace and quiet, head up to the secluded Piethorne Valley, high up in the Pennine moors. Here you’ll have plenty of hiking or driving options, with Victorian reservoirs, rolling hills and wild moorland making up the beautiful backdrop. Drive over to nearby Huddersfield for some wonderful routes along meandering country lanes, taking in gorgeous waterways, quaint cottages, pretty rural villages and canal boats. Just on the outskirts of Leeds, there’s a beautiful little village called Saltaire, famous for its old salt mill, cobbled streets, grade II listed buildings old railway station and circular church – perfect for a daytrip to somewhere traditional and serene. Ramada Manchester Piccadilly, Piccadilly Plaza, Portland Street, City Centre, M1 4PH Manchester Just 750 metres from Manchester Picadilly Railway Station, the Ramada Manchester Piccadilly offers modern en suite accommodation. Rooms have pay-per-view TV and coffee makers. The Ramada Manchester is in the heart of the city providing easy access to the Manchester United Tour and cricket at Old Trafford. The Lowry Centre, one of the most exciting and innovative art galleries in Britain, is a 15-minute drive away. Radisson Blu Hotel Manchester Airport, Chicago Ave, M90 3RA Hale The stylish 4-star Radisson offers free Wi-Fi and direct access to all 3 of Manchester Airport’s terminals, via the Skylink elevated walkway and the Airport Shuttle Bus. Radisson SAS Hotel Manchester Airport has chic, themed rooms and 24-hour room service. The airport is a 2-minute walk away. Phileas Fogg Restaurant boasts panoramic views of the runway and a seasonal à la carte menu. The Runway Brasserie offers a selection of snacks. Bewleys Hotel, Outwood Lane, Near Manchester Airport, M90 4HL Hale Located next to Manchester Airport, just a 5-minute walk from terminals 1 and 3, this hotel offers a 24-hour free shuttle service, long-stay parking, and modern rooms with free Wi-Fi. All of the bright and spacious rooms at Bewleys Hotel are fully soundproofed and feature a private bathroom with a hairdryer and power shower. Rooms also include a TV, tea/coffee-making facilities, and a work desk. Manchester Airport Rail Station is just 5 minutes' walk away, while the M56 motorway is easily accessible, just a 2-minute drive away. Best Western Willowbank Hotel Manchester, 340 Wilmslow Rd, Fallowfield, M14 6AF Manchester With free Wi-Fi, the Willowbank is well placed for Manchester city centre, only 15 minutes from the airport. Each modern en suite room at the Best Western Willowbank Hotel has satellite TV. There is 24-hour room service. Coliseum Restaurant offers relaxed dining and the Enigma Bar has a comfortable lounge area. Best Western Willowbank Hotel is convenient for the universities, the main conference arenas and shopping districts.